Subluxations have a great number of different causes all of which the average individual is exposed to daily. These causes can be described in terms of physical, chemical, and emotional causes. 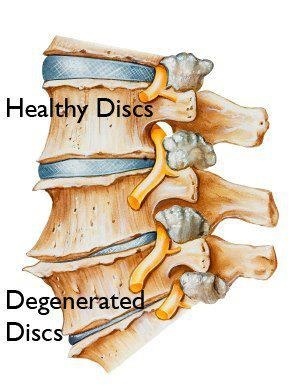 Physical causes include acute trauma to the body, sports injury, poor sleeping habits, birthing process, repetitive motions affecting the spine, bad postural habits, improper workstation habits and design, and weak or imbalanced spinal musculature. Chemical causes include poor dietary and nutritional practices, drug and alcohol use and abuse, as well as the ingestion of chemical toxins in the foods we eat, air we breathe, and water we drink. Chemicals are harmful to the body and decrease the body's ability to function optimally and reduce the ability to successfully adapt to and withstand internal and external stresses - making us more susceptible to spinal subluxations and the consequences of these subluxations. Emotional causes collectively refers to our thoughts, feelings and stress… all three affect the body’s physiology (the natural chemicals (hormones and neuropeptides) our body releases). Negative thought patterns, excessive stress or inadequate stress management skills can deplete the body of the ability to sustain normal functions. The impact of emotional stress on physical health is well documented in medical research and has devastating effects on the immune system, making the body susceptible to injury and disease. What are your thoughts? Can you think of anything in your life that causes Subluxations?